When it comes to partying, the young people know best. But no party is complete without some good music to keep the good vibes going. Not every phone is made the same, and some just don’t cut it in the sound department. 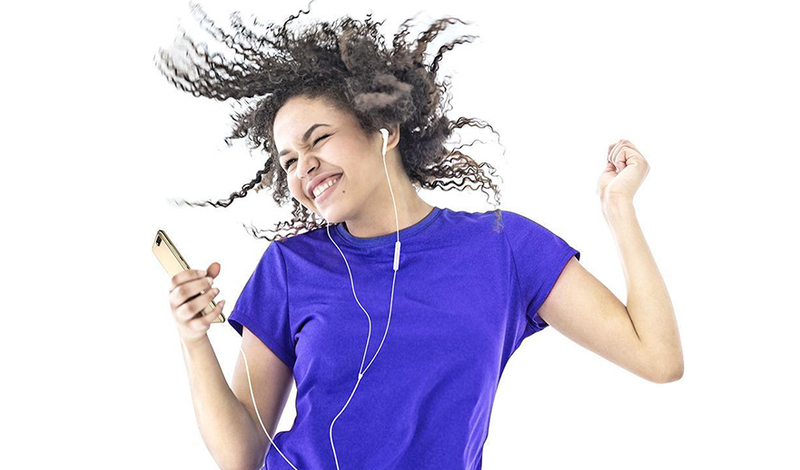 Whilst most phones in the market today should do fine when they’re playing music to an audience of one in a small room, when you’re partying with ten friends in a large venue, you’ll need something with oomph. Introducing the HUAWEI Y6 Prime, Huawei’s newest audio-centric device in the new Y Series, designed for fun-loving youth. 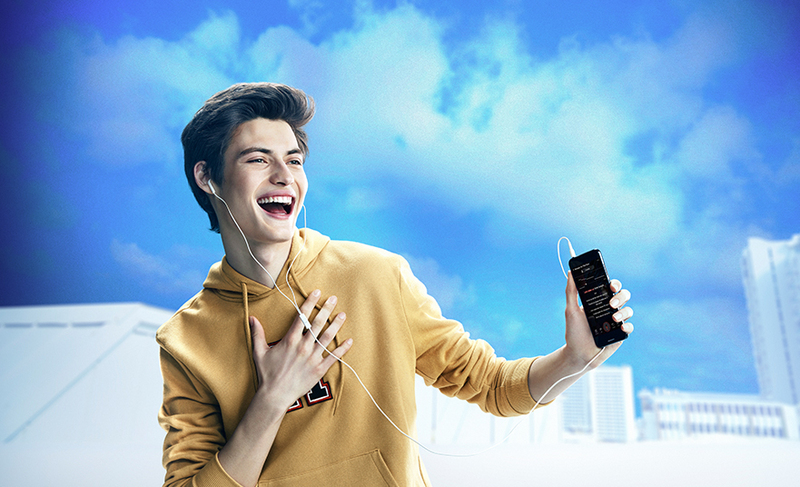 As an affordably-priced device targeting the youth market, the HUAWEI Y6 Prime is optimised for all forms of music-related entertainment: It’s equipped with powerful speakers that can play at up to 88 dB, as well as tailored software features such as a karaoke mode, support for group music, and HUAWEI Histen. Similar to other devices in the new HUAWEI Y Series, the HUAWEI Y6 Prime comes with a selection of features that are often reserved for premium, high-end flagship device, such as the FullView display, face and fingerprint unlock, high capacity battery, and three-card support (for dual SIM and storage expansion*). These features are rarely included in devices competing in the same price range as the HUAWEI Y Series, making the youth-centric line-up much more attractive to its target audience. 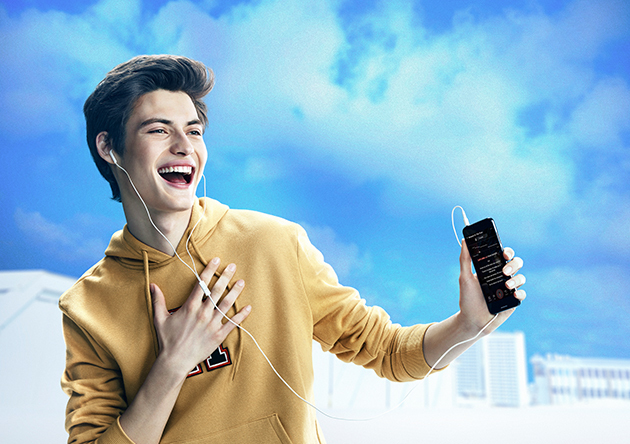 With a grill cut precisely using an advanced CNC diamond cutting process, the speaker on the HUAWEI Y6 Prime is one of its most outstanding features, capable of blasting sounds at up to 88 dB on full throttle—enough to fill a decently sized room with high quality music without the need of an external speaker. Sing to your heart’s content in the comfort of home with the HUAWEI Y6 Prime. Built to handle all things music-lovers enjoy, the HUAWEI Y6 Prime supports “Home Screen Lyrics” on the HUAWEI Music app. 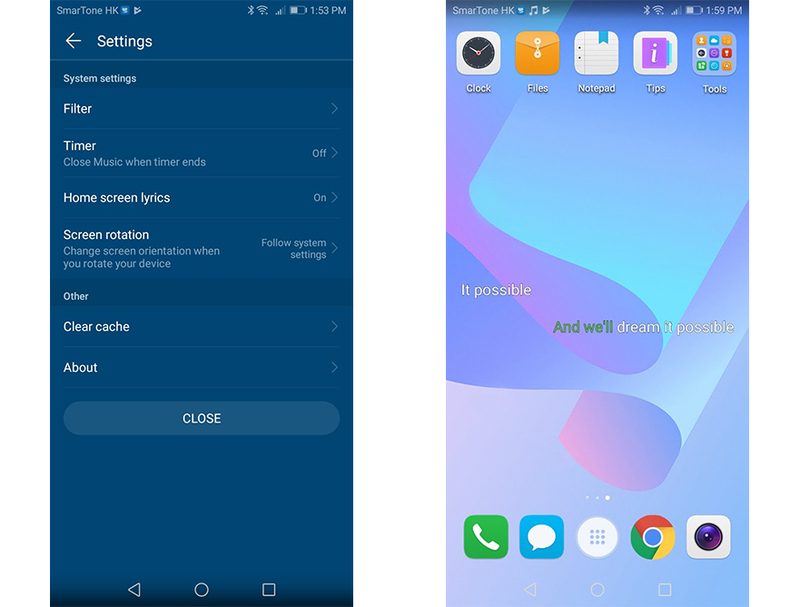 Left: Enable “Home screen lyrics” in settings of Music; right: Karaoke mode in action! 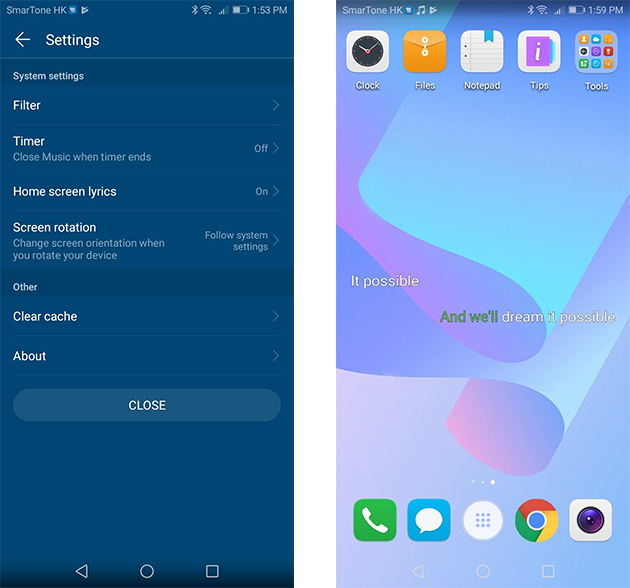 Flip this feature on and play a song of your choice, and the device will display the lyrics on the home screen, complete with a time-synced indication to guide the user to sing along. Who says you need a room for karaoke? At times, you may want to keep your music to yourself. Fortunately, the HUAWEI Y6 Prime includes a 3.5 mm headphone jack for your headphones. Once you plug in your favourite in-ear earphone or headset, you will be given a new option to optimise your music: Huawei Histen. 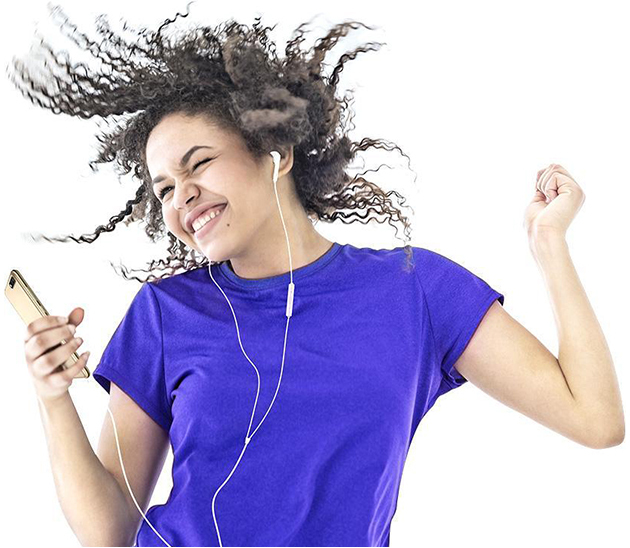 Accessible via the Music app (or via the Settings menu, under Sound), Huawei Histen lets you choose from a range of equalizer settings, from Classical to Pop, to get the best audio quality from your music collection. If you’re not satisfied with the presets, you can also apply your audiophile knowledge and adjust the virtual sound mixer yourself. 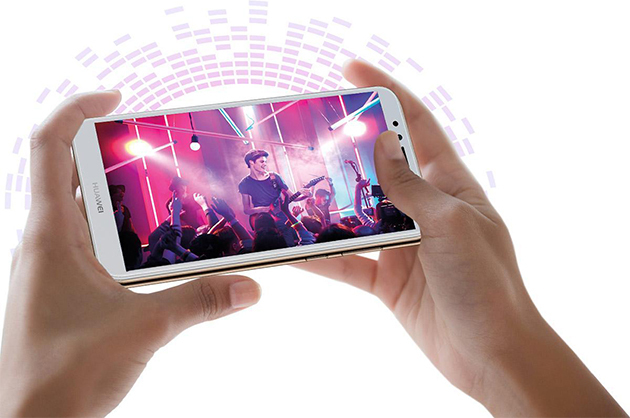 Another feature the Huawei Histen supports is 3D audio, which emulates stereo sounds using special audio calculations. Turn this on to experience the booming sensation that’s just like sitting a room surrounded by speakers. What if you’re in a massive party, and the powerful speakers on HUAWEI Y6 Prime are still not enough? Then it’s time to enlist the help of your friends—or more specifically, their HUAWEI Y6 Prime devices. 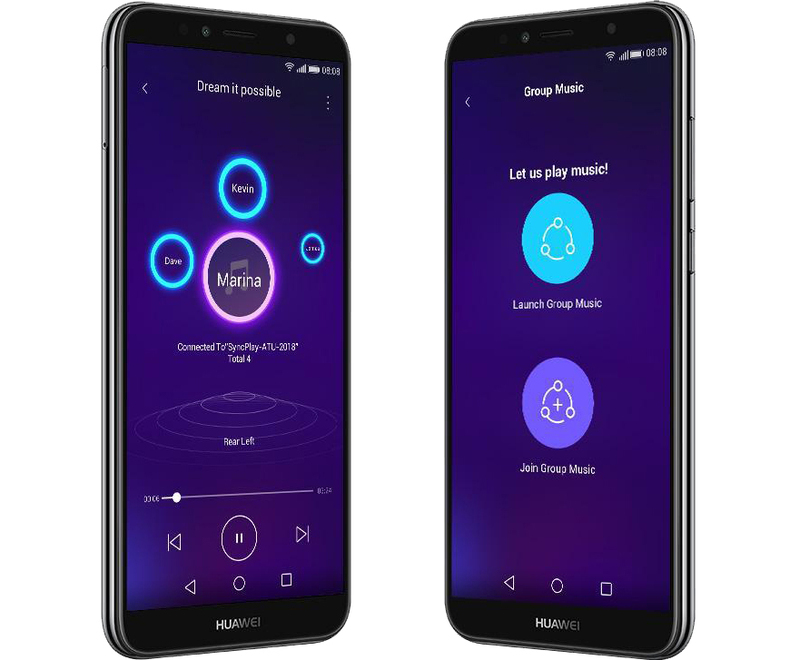 Using group music (available after applying the latest update via HUAWEI OTA) on HUAWEI Y6 Prime, users can connect up to eight devices to create a true surround sound setup. With your speakers combined, no party is too big to entertain. *Availability may vary across markets.